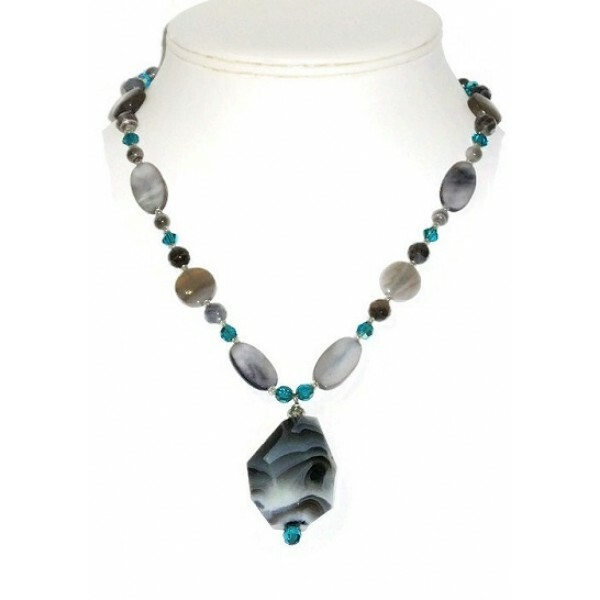 This necklace features a faceted botswana pendant accented with Swarovski crystals, mother-of-pearl beads and assorted botswana beads. Using its sterling silver chain extender, it measures approx. 1 1/4".